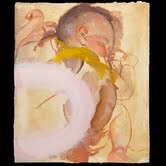 We begin our examination of the stages of life with a set of paintings and drawings by Laura Greengold. 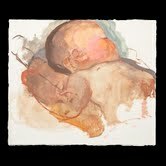 A number of her beautifully-composed works feature her own baby son, and her art is an excellent depiction of the wonders of very young childhood. The later stages of childhood take on very different qualities, and they are also represented in this issue. One of the more eccentric modern depictions of the trials and tribulations of modern adolescence is William Finn’s 2004 musical comedy The 25th Annual Putnam County Spelling Bee, recently performed by Castro Valley’s Chanticleers Little Theatre. Bruce Roberts’ review illuminates the hilarity of the production—as well as the “childhood memories of pressure, of defeat, of humiliation” which it is sure to bring back to its viewers. With adulthood comes the joy and heartbreak of romantic affairs, and Sam Burks’ poem “Memories (A Farewell)” is a poignant depiction of the latter state. Taking place after the dissolution of a relationship, it skillfully depicts both the inescapable memories of happier times and the necessity of letting go and looking forward. Read this, as well as three other equally-insightful poems by Sam, here. Romances can certainly end happily as well. Perhaps the iconic novel of young love and courtship is Jane Austen’s Pride and Prejudice, which has been adapted numerous times to stage and screen. As Jessica Sims reports, the San Leandro Players’ recent production is a top-notch version of Austen’s tale. This month’s final performance review examines a slightly less successful union than that of Elizabeth and Mr. Darcy. The French legend of Bluebeard, the notorious nobleman and serial wife-killer, dates back to the seventeenth-century work of Charles Perrault, but one of its most memorable adaptations is the Béla Bartók opera Duke Bluebeard’s Castle. Christopher Bernard reviews the San Francisco Symphony’s production here. After romance and marriage, we can hardly fail to include an examination of parenthood, and J’Rie Elliott’s poem “To Be a Parent” takes a look at this very topic. It’s an inspiring and thought-provoking look at the responsibilities which parents must take on to ensure that their children can lead happy lives—as well as the sacrifices which must inevitably result from such an undertaking. Another of this issue’s most memorable poetic pieces directly compares childhood with adulthood. In “Let’s Play Pretend,” Linda Allen looks back wistfully on the innocence of youth, juxtaposing it with the awareness of the world’s problems which inevitably arises from maturity. Sometimes, she points out, the hardships of modern life make one yearn for childhood’s joyous dreams of happiness and safety. A further set of excellent poems in this issue comes from Julian Raine, whose works are relevant in several ways to the theme of human development. They include a vein of mature sexuality, as well as recurring depictions of youth in contrast with old age. Human aging and memory are well-employed elements of these works: in one passage, her narrator compares the present day with her reminiscences of her youth, musing on “the moments/in between [which] sort of bind together/the child to the old woman.” The influence of the past also comes through in another way, with references to the works of Whitman, Tennyson, and other poetic giants of previous generations. Julian also contributes a number of superb paintings, whose subjects range from gloomily-lit human faces to abstract figures to seemingly commonplace objects. Each one of them is quite unforgettable. Another of our articles concerns itself not with the growth and change of one person, but with that of humanity as a whole. Michaela Elias profiles San Francisco’s legendary Modern Times Bookstore, a local symbol of progressive thought and a longtime center of equality, pro-labor, and anti-war movements. Recent rent troubles have caused Modern Times to move away from its long-established location, but it has found a new home in a shared space with the art gallery Galeria Paloma, and it will try to carry on its progressive work for the foreseeable future. Similarly, Bruce Roberts’ second article of the month deals with yet another sort of growth: the achievement of new frontiers in scientific knowledge and patient care. He profiles Dr. J. William Langston’s Parkinson’s Institute, widely renowned for its innovations in both treatment and research. And, as always, Leena Prasad’s monthly column Whose Brain Is It? demonstrates our growing knowledge of the intricacies of the human mind! This month, she examines the chemical factors which lead to feelings of joy. Julian Raine, besides being an accomplished visual artist, is also the author of numerous books of poetry. Some of her pieces are up for sale; please contact julianraine@hotmail.com for more information. No state is so great, that its borders define me. No fear is so great, that my heart’s not exalted. No friends are so great, that I’d make my child cry. No dream is so great that I cannot believe it. My life is in motion, not stagnant in time. My children come first, and then I walk behind. That nothing will stop me—I have no fear. I will walk the hard road for their happy life. Modern Times Bookstore, which refers to itself as “a progressive resource for the Bay Area—a neighborhood bookstore for theMission,” is as exceptional as the area in which it finds itself. The Mission district, located inSan Francisco,California, is a working class neighborhood bordering U.S. Route 101 and part of supervisorial districts 5, 9, and 10. But the Spartan perspective of map measurements cannot possibly convey the capacity of the culture that is packed into The Mission. The signs in The Mission are in Spanish and English, since many of its residents are immigrants. The Mission has a tendency to be sunnier and warmer than the rest of the city, so people are always outside strolling, biking, and walking small dogs. But The Mission also serves as the bedrock for many progressive political causes such as anti-racism, anti-sexism, anti-homophobia, pro-peace, anti-war, anti-discrimination, and equality movements. But for these movements to thrive, they require a hub, a resource for the information needed to power them, and for this job Modern Times Bookstore fits like a glove. The bookstore epitomizes both the political and cultural aspects of the Mission District. Modern Times Bookstore was founded for the purpose of supporting and providing resources for the flourishing progressive movement in theMissionand Bay Area. The store also carries many books regarding world fiction, labor history, and the labor movement. In the past the Mission District has been a less expensive community in relation to its surrounding areas, causing newcomers to San Francisco and America to populate the Mission and also creating an affordable location for community groups and nonprofits. Recently, many hipsters, students, artists, and political activists have moved in, further stimulating the vibrant and nonconformist nature of the Mission, but this new influx of inhabitants has also driven up property prices to an immense degree. People from all over the Bay Area are flocking to the Mission District because it is seen as a really trendy neighborhood to hang out in. New restaurants and expensive apartments that are materializing as a result of this fascination with the Mission are causing its originators, and the people who brought all the culture to the Mission, to have no other choice but to leave. As Ruth points out, San Francisco’s rent control laws apply only to individuals, with no protection provided for small businesses, which has caused a number of problems for Modern Times and other organizations of its kind. In fact, after forty years of existence and thirty years of residence in the Mission, Modern Times has recently had to vacate its very commodious space and relocate to the back of a gallery, Galeria Paloma, on 24th Street; rent troubles were at the root of the decision. Galeria Paloma, owned and operated by paper-making artist and painter Shawn McFarland, showcases a unique collection of works. The paintings, clothing, stationery, and decorative objects which fill the close-knit space come from a variety of people, some local, some from friends and family of locals, some from creative people inMexico. The space-sharing came about during a meeting of neighborhood business owners, when the management of Modern Times announced that they had to move. McFarland mentioned the back area of the storefront housing her gallery, and the bookstore relocated its inventory and operations within a couple of months. At first glance the aesthetic style and feel of both places seems different. With its elegantly crafted collages and colorful doves, Galeria Paloma appears a gentle oasis, while Modern Times Books sports the hammer and sickle and Che Guevara quotes and seeks to provide a space to lay the intellectual framework for powerful social revolutions. Yet the management of both places says coexistence is working so far. McFarland appreciates the bookstore’s customers’ passing through her exhibits on the way to Modern Times, and the co-op bookstore’s team of managers likes the chance to share space with a local independent business that features the works of some indigenous artists. McFarland self-promotes Galeria Paloma through word of mouth, as she enjoys greeting guests who drop by and tends to have stories to share about the featured artists. And the neighborhood organizes street fairs and exhibitions to draw people downtown, and it attempts to assert and maintain a local culture despite the divisive effects of gentrification and the bleeding economy. Modern Times also works not to let the downsized space diminish its character. The bookstore regularly holds events such as open mike readings, book readings by new authors, and a book club completely in Spanish. They have had to curtail these functions and make decisions as to which books to continue to carry with the decreased stocking capacity, but Modern Times is determined to develop and evolve to meet the changing environment and needs of the community. In all probability, with Modern Times’ devout mission and devotion to serving their community, they will manage to progress with the changes and stay afloat. Still, though, McFarland and others in the area admit that the Mission District is changing, in large part because of the economy. Some customers of Galeria Paloma are moving out of their longtime Mission residences intoDaly City,San Bruno, and other cheaper locales south of San Francisco. McFarland and others speculate that the next generation of new, visionary art and other forms of cultural creativity will be based in a place with lower rent for small businesses as well as residents, perhaps Alameda or another city across the bay with a well-traveled downtown but a lower cost of living. You may visit the Galeria Paloma online at http://galeria-paloma.com/ – the current exhibition showcases McFarland’s bird images on handmade paper. Modern Times Books also has a website, www.moderntimesbookstore.com – visit for a schedule of events, workshops, classes, group meetings, shows, and book signings! Sad stories bring forth shudders of delight. Once in a great while, a rare and humbling experience happens that can be summed up only with that much-abused word I usually try to avoid, unless I am discussing chocolate chip cookies: “awesome.” Such was the San Francisco Symphony’s production of Béla Bartók’s only opera, “Duke Bluebeard’s Castle,” over the June 22nd weekend. I went twice; the first time I was so unprepared for the experience of an opera I thought I knew that I was left shaken and spent the next two hours walking it off through the late-night streets. Performed in a half-staged version on a small area behind the orchestra and utilizing an array of vividly designed video projections, with expanded brass and full organ for the opera’s staggering climax, the concert, promising on paper, and far surpassing the promise in reality, proved to be one of the musical season’s peak moments indeed. An operatic season already flourishing with three brilliantly welcomed productions across the road at the San Francisco Opera, had, for a trio of nights, a fourth. There are a number of versions of the Bluebeard legend, which first appeared in Perrault’s Mother Goose Tales. In the legend, Bluebeard has brought his latest, and probably last, wife to his castle, a windowless monument to male isolation, where she finds seven locked doors that, despite Bluebeard’s warnings, she insists on opening, with predictably tragic results. In most versions, the last door reveals the dead bodies of Bluebead’s previous wives. But not all of the tale’s versions involve gore – the version Bartók and his librettist Béla Balász created finds the wives in a state perhaps worse than death: a twilight of half-suspended animation, undead but unalive, immured inside a tomb within the tomb of Bluebeard’s castle, where Judith will also be buried in the end. Bluebeard’s futile protests that have so little effect on his wife’s compulsive probing suggest a number of questions, above all whether or not he planned to send Judith to the conjugal dungeon from the beginning – or whether she only ends up there as a result of her obstinate, and in the end suicidal, need to know. For her fatal husband seemsto hope – even, however weakly, as in a dream he can’t wake from, to struggle and strive, haplessly – to redeem himself from his conjugal fatality; it is not something he accedes to easily, and certainly not something he rejoices in. His evil is a cause of ceaseless suffering for him; it is no occasion for joy. In the end, despite all of his struggling, he is defeated by the perversities, the love of self-destruction and self-defeat, of human nature, his own and Judith’s. In its brief hour-long span, Bartok’s opera contains a profound contemplation of the eternal gulf, the willful misunderstandings and warring needs that separate the sexes: in the Hungarians’ Bluebeard we find, not a refined sadist or the monster of myth, a Gilles de Rais (the grotesque legend’s original), but an archetypal male, prisoner of his pride, of his grasping for an impossible autonomy, in conflict with a barely acknowledged need to love and be loved – a need that is poisoned by his equal and opposing need to reign, dominate and conquer. And in Judith, though clearly in the weaker position, we find an archetypal female driven by a self-destructive need to ignore every warning her despairing consort gives her, as this Bluebeard tries, futilely, to overcome his own need to dominate; to win, not just Judith’s love for him, but his ability to love her. In the past his love has always turned poisonously into a need to possess, to turn his wives, indeed anything alive and with a will of its own, into half-dead things – one of the perennial curses of masculinity. What we see, starkly presented, is the war between masculine pride and will to conceal and conquer, on the one hand, and, on the other, feminine probing and the will to uncover, reveal and control. The result is a misery on both sides: equal folly, if not always equal fault. The end, like the beginning, is an impenetrable darkness that seems to lie forever between the sexes, a darkness that has no more powerful a metaphor than Bartók’s brave and honest opera, which excuses no one. Impenetrable indeed? 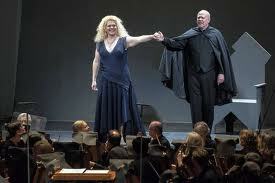 The opera leaves the question open, but offers no easy solutions. The projections, which probed the underlying psychology as door after door was unlocked, played always handsome, sometimes gorgeous, variations on the story’s themes; they were designed with a highly imaginative hand by Nick Corrigan. The overall staging was directed to lean and powerful effect by Neil Hillel. A note on the projections: they were not always as effective when seen upstairs; important parts of them were invisible in the upper balcony, and what I could see of others (in particular the “treasure” room sequence) sometimes looked cheesy; their effect in the orchestra seats, however, I found completely engrossing. Annoyingly, the big climax, when the fifth door was unlocked and all of the lights in the hall suddenly blaze to momentarily blinding effect, was, paradoxically, more effective in the balcony precisely because the audience there was not blinded but could imagine the effect below: as most horror film directors learn, at the right moment imagining blows seeing completely out of the water. Ultimately, there was no ideal spot to both see and hear the goings-on onstage. Such problems might have sunk a less compelling production, but it’s a tribute to this one that, by the end, they were completely forgotten. The opera opened with a brief spoken monologue, not presented in most productions; local actor Ken Ruta made an excellent case for it – indeed, the monologue, and his measured voicing of it, demonstrated how a short, quiet introduction can cast a deeply illuminating light over all that follows. The San Francisco Symphony rose to the occasion, and more, under the tight, searching conducting of Michael Tilson Thomas. The cheering ovations the audience gave them at both performances I attended were certainly never more deserved. The concert opened with the first piano concerto composed by Bartók’s fellow Hungarian, Liszt. Everyone tucked into Liszt’s florid bombast gamely enough; the diaphanous middle sections, which highlighted the symphony’s woodwinds, were woven with special gracefulness by soloist Jeremy Denk, who tossed off Liszt’s stormy demands elsewhere with élan. But what haunted the mind for the rest of the night was the tragedy that followed. Christopher Bernard is a novelist, poet, and critic. He is author of the novel A Spy in the Ruins and co-editor of the online arts magazine Caveat Lector.